Xiaomi is planning to launch a 5G-enabled smartphone at the Mobile World Congress tradeshow on February 24, 2019 in Barcelona. The new handset, which will be compatible with the next-generation superfast network speeds, will be an upgraded version of the current flagship, the Xiaomi Mi Mix 3. Mobile World Congress comes a few days after the latest Galaxy Unpacked event, where Samsung is widely-tipped to unveil its first 5G-enabled smartphone, dubbed Samsung Galaxy S10 X. The next-generation smartphone is expected to hit shelves worldwide on March 29, 2019. Leakster Ben Geskin, famed for sharing renders of unannounced handsets via the Twitter handle @VenyaGeskin1, posted a now-deleted tweet revealing the plans to launch a new Xiaomi flagship with compatibility with the latest mobile networks. "Exclusive: Xiaomi will hold an event on February 24, possibly for Mi Mix 3 5G," the prolific Twitter user shared earlier this week, before removing the post. The current-generation Mi Mix 3 is only compatible with 4G networks. Elsewhere, it has an impressive edge-to-edge 6.39-inch FHD+ AMOLED display with an eye-watering 1080 x 2340 resolution and 19:5:9 aspect ratio. There's also a 3,200mAh battery cell to keep the screen ticking along all day. 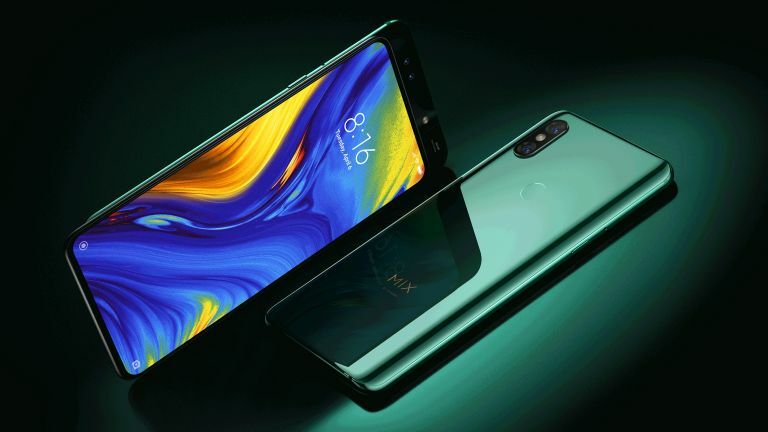 Powering the Xiaomi Mi Mix 3 is a flagship Qualcomm Snapdragon 845 processor, coupled with 6GB of RAM, dual 12-megapixel cameras on the back of the phone, as well as a dual 24- and 2-megapixel selfie cameras housed in a sliding drawer behind the handset that is access by pulling down on the screen. The tweet from Ben Geskin is not the first time we've heard whispers of a 5G version of the Xiaomi Mi Mix 3. At the China Mobile Global Partner Conference held in December, the Beijing-based company confirmed plans to bring 5G handsets to market sometime in 2019, and revealed that a 5G-enabled version of the Mi Mix 3 would include a Qualcomm Snapdragon 855 processor and X50 5G modem. It's unclear whether these plans are still set to go ahead, or whether Xiaomi will make any changes to the specs before the release date later this year. Xiaomi is not the only company looking to bring a 5G-enabled smartphone to market in the coming months, with OnePlus and Samsung hard at work on new handsets that will run on the superfast mobile networks. Qualcomm President Christiano Amon has previously revealed that "every Android vendor is working of 5G right now", hinting that manufacturers are likely toiling away on the technology behind the scenes without our knowledge.